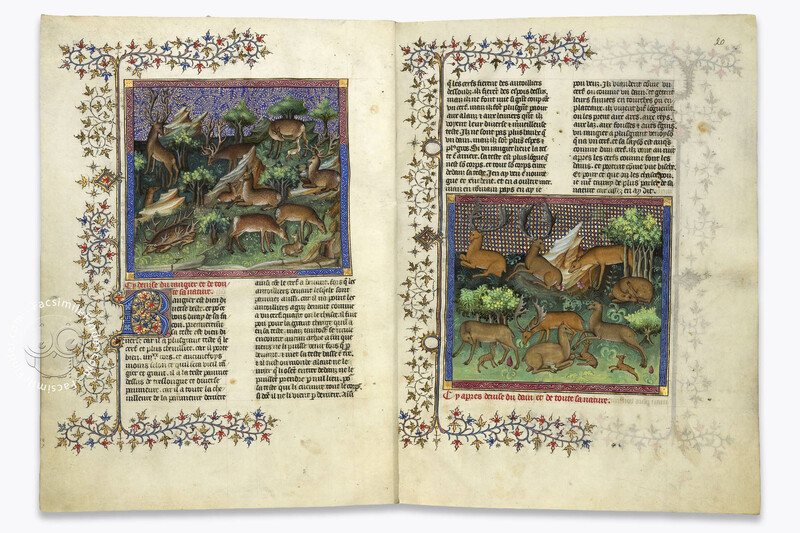 The Livre de la Chasse by Gaston Phoebus, which was later to be translated into English under the title of "Book of the Hunt", is one of the most precious gems ever produced in the medieval workshops of French book illuminators, with its decorative apparatus of outstanding quality. Its 87 miniatures are mostly painted on "stencil pattern" backgrounds and are unique in book painting, most of them richly embellished with gold. They present animals and lively hunting scenes with an unequalled sense of nature. 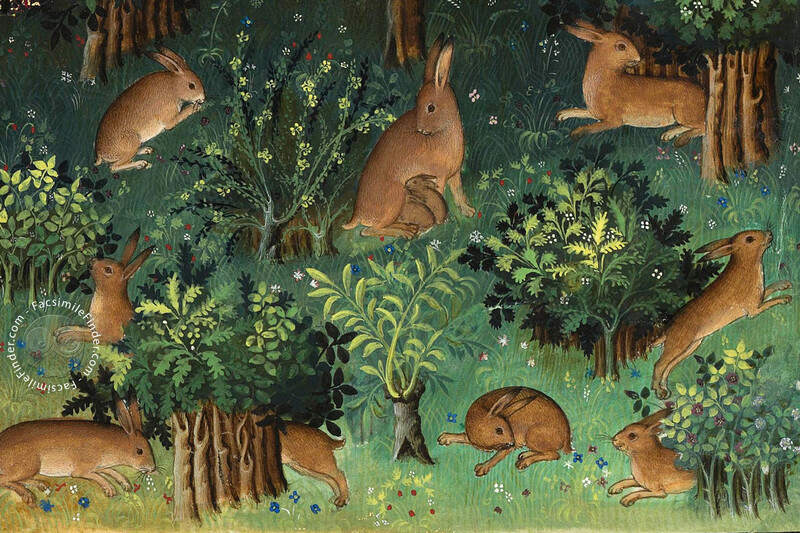 The manuscript enjoyed great popularity also for its text which is written in excellent French and of great significance for the history of hunting. The author, Gaston III Count of Foix surnamed Phoebus, probably because of his bright blond hair, wrote this sophisticated piece of literature in the 80s of the 14th century. He was an excellent, experienced master of the art and practice of hunting. It is to him we owe our general knowledge on the art of hunting as it was practised in the 14th century. The miniatures pay homage to the hunting tradition on a very high artistic level. 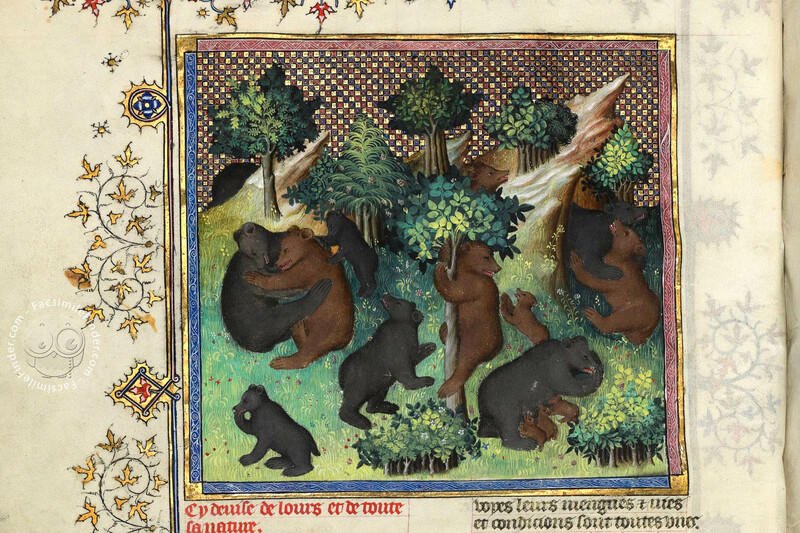 They are the work of a team of artists who were active in a Parisian workshop of the early 15th century. The artfully designed and lavishly decorated backgrounds of the miniatures remind us of tapestries in a small format. This background painting required much patience and extreme precision and was the work of specialised craftsmen. The illumination of the book was performed in two stages: first, the figures, animals, surrounding landscape and different objects, were painted. In this phase, the artists impress us not least with a realistic, detailed illustration and the vivacity of figures. Then the rich floral ornaments were added. The delicate thorned leaf ornaments have a very special charm. Winding around the miniatures and numerous initials in red and blue on gilded ground, they are dispersed throughout the manuscript for the enjoyment of the reader. 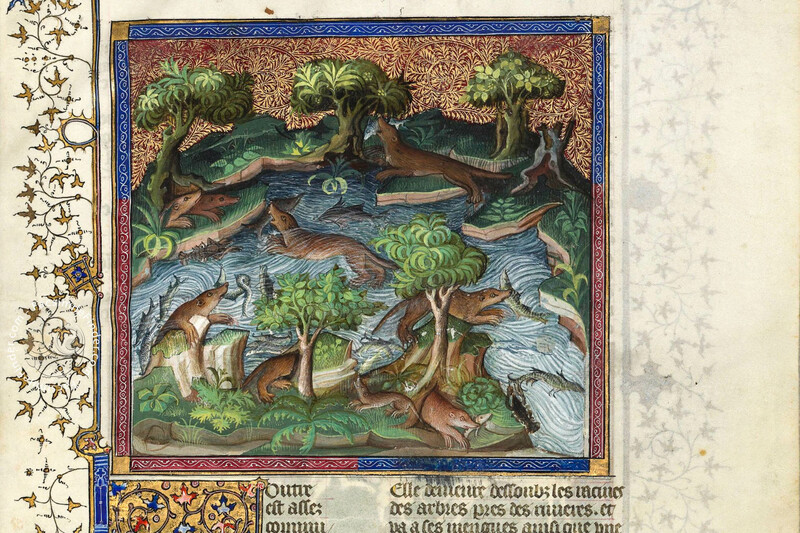 In his Book of the Hunt, Gaston Phoebus describes the animals of the chase, their character and behaviour. Besides surprising and curious details, the reader will find extended passages of familiar facts and even modern tricks of the trade allowing him to reflect his own experience and see whether the evidence permits bridging the gap of 600 years of intellectual history. 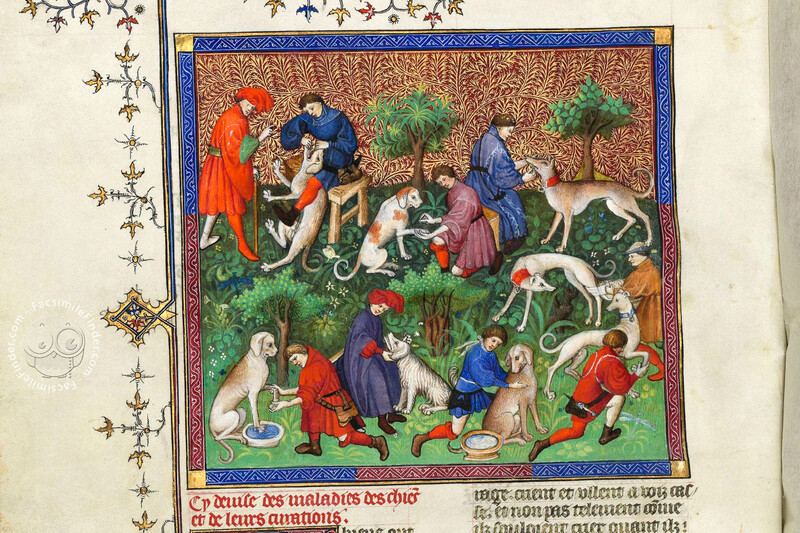 Gaston also dedicates much of his book to the dog, the most faithful companion of the hunter. He indulges in reflections on the dog’s character, but also on diverse breeds and their appearance. One also finds rules of behaviour for the right training and care of these animals which are essential to the hunting calling. The passionate hunter also deals in detail with coursing, the pursuit of game by hounds hunting by sight. 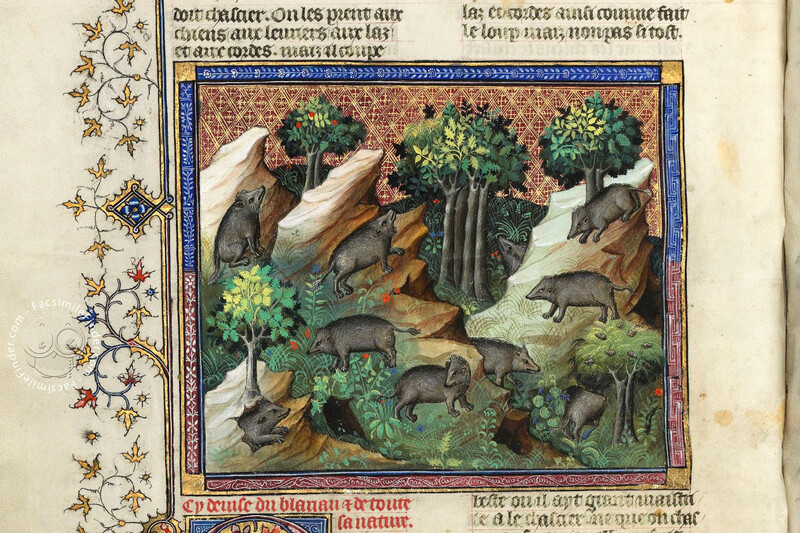 At a time when hunting played a major role in noble circles, the great echo made by the Book of the Hunt by Gaston Phoebus was only natural. It immediately became very popular and very soon its fame extended far beyond the borders of France, especially to England. The text became a true best seller and was often copied, translated, illustrated and – with the invention of the printed book – published in numerous editions. 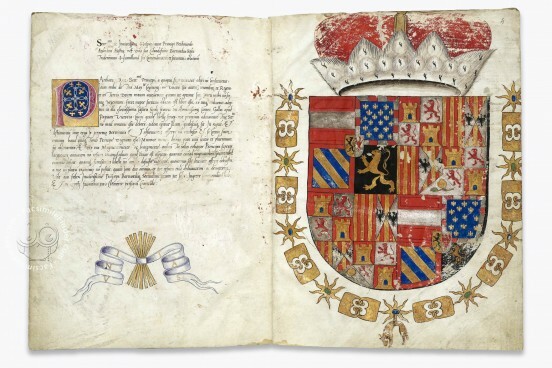 Manuscript book on parchment − 37 × 28 cm − 275 pp. Full-size color reproduction of the entire original document, Gaston Phoebus - Le livre de la chasse: the facsimile attempts to replicate the look-and-feel and physical features of the original document; pages are trimmed according to the original format; the binding might not be consistent with the current document binding.